When it comes to hiring mid-level associates, less is more. The typical law firm scrutinizes a wide range of factors when evaluating potential hires, including the law school from which they graduated, how many years ago they graduated, where they currently work, did they have a clerkship, how many job changes have they made, and their law school performance. Law firms have been evaluating associates like this for a long time, so it might be different to see that many of these factors may not be particularly relevant. Consider the following example that also involves selecting among highly credentialed and accomplished candidates. For many years, symphony orchestras hired musicians based on a variety of factors, including where they went to school and whether their teachers were highly regarded. 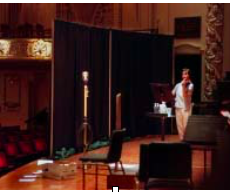 Beginning in the 1970s some orchestras began to introduce blind auditions to the process. The candidates performed behind curtains so that their identity would not be known. This forced decision makers to focus more on what the musicians sounded like rather than on other factors. According to a 2001 study published in the American Economic Review, the introduction of blind auditions substantially increased the number of women hired by major symphony orchestras. Law firms would benefit from introducing an increased measure of anonymity to their hiring process, especially for mid-level associates. Rather than focusing on whether someone went to Stanford or Stamford, evaluate their work product directly. For many associate positions, especially in litigation, that work product is a writing sample. And writing samples can easily be anonymized. Specifically, edit the writing to remove the name of the candidate or any other identifying information that might be a distraction or source of bias. That’s what law schools do with many written exams. As a business consultant to law firms, I know from personal experience that anonymizing applicants can be an unnerving exercise for the employer. When you don’t know the name of the person who wrote the brief you are reading, where they went to school, or the name of their current employer, you can’t rely on your biases as much, and you need to do the hard work of evaluating the actual work product. I’ve spoken to lawyers who are up front about the fact they hire people from certain law schools to send a signal to their clients. They don’t know that the lawyers they hire are any better than other applicants, but they are perceived to be less risky should something go wrong. I am sympathetic to the fact that law firms prefer to look at social factors such as where people went to law school. This is one way to increase the chances of hiring someone like you. And replicating yourself is the most common hiring bias of all. Anonymizing your applicant pool may or may not have the effect of increasing the diversity of your workforce. That isn’t its primary benefit. It’s worth trying because too many law firms and attorneys look at factors that obscure whether applicants excel at the main requirement of the position. Given that law firms ultimately have nothing of value to offer other than the skills and judgment of their people, law firms should embrace any strategy that helps them identify which applicants have the highest levels of relevant skill. Image: Bill Wade, Pittsburgh Post-Gazette, May 30, 1999 (originally published online) here.